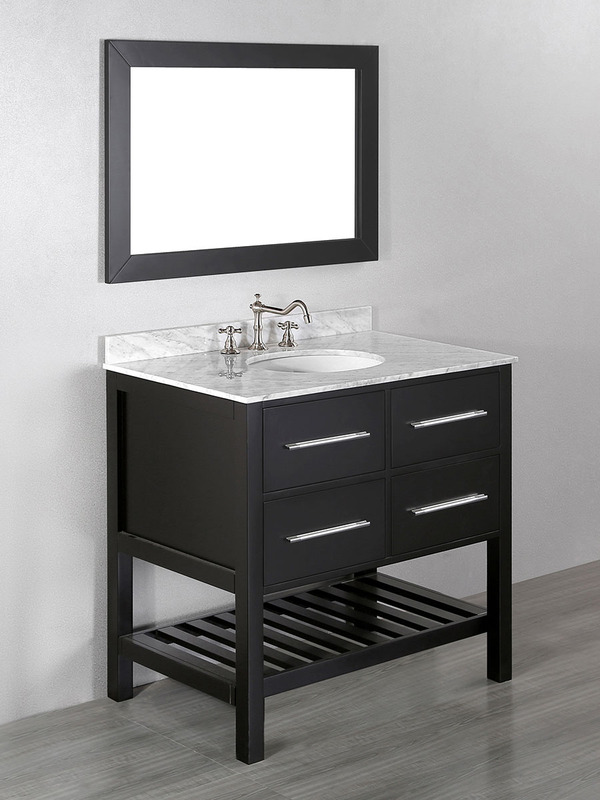 With its modern appeal and conventional design, you'll find your bathroom transformed into a highly stylish, yet functional room like it never was before with the 35.5" Alegra Single Bath Vanity. 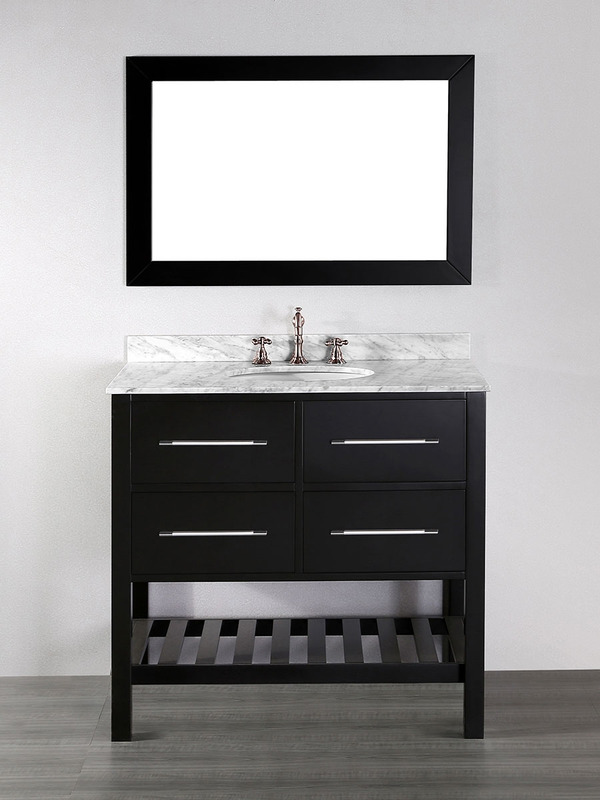 Made from solid birch with a Black finish, this vanity combines silver finished hardware with White Carrera Marble to give you a vanity that speaks "modern" in every direction. 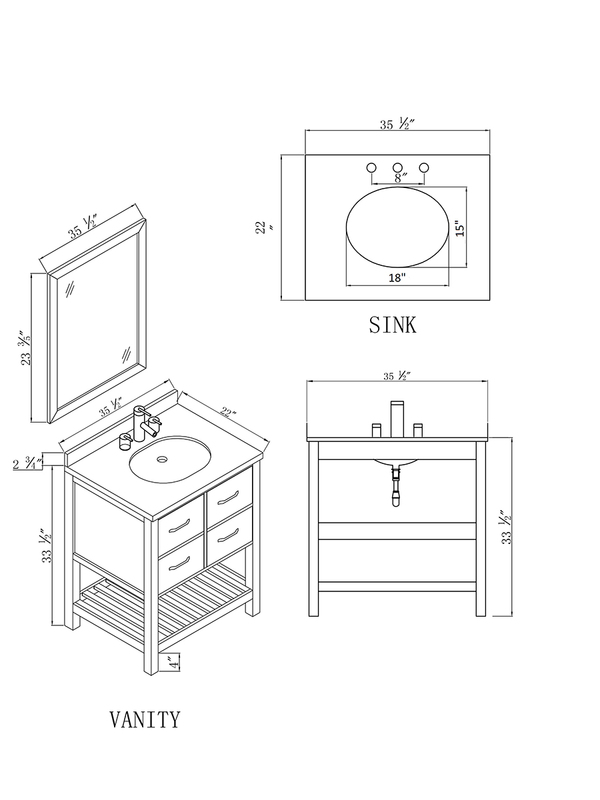 The cabinet gives you two fully-functional drawers with soft-closing glides and a towel rack that spans the entire vanity for maximum storage space. Add its matching framed mirror to give the Alegra even more function!